The first ever solar farm located at Khan’s Hill, Mabaruma is expected to be fully operational by the end of this month. The government says the farm has been substantially completed with testing being carried out to efficiently integrate its electricity supply into the local grid system. The initiative is anticipated to increase the electricity supply to residents by eight hours. 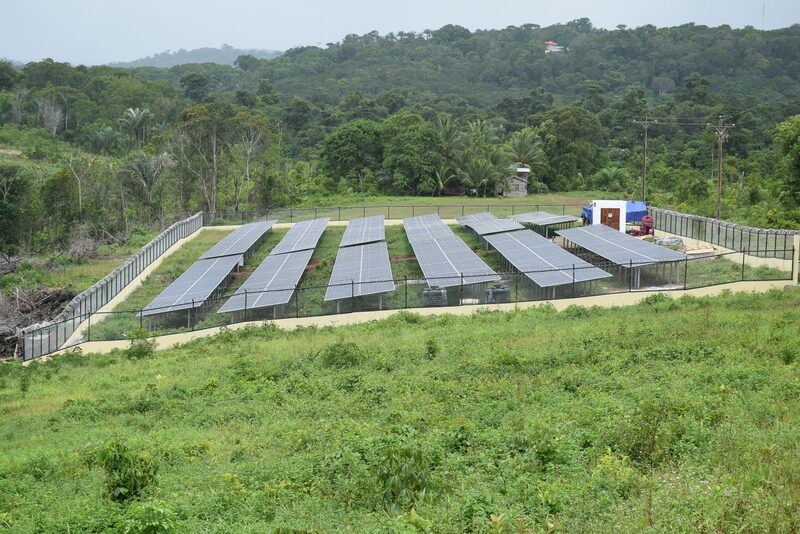 According to the mid-year report, feasibility studies for the establishment of solar farms have so far been completed in Port Kaituma, Bartica, Lethem, Matthew’s Ridge, Mahdia and Kwakwani. Financing for the development of these farms is being pursued with support from the country’s development partners. The report further states that geotechnical studies for the development of hydropower projects at Kumu and Moco Moco are expected to begin in the third quarter, and once completed will be included in a feasibility study. Following a recent visit to Norway by Minister of State, Joseph Harmon, Minister of Public Infrastructure, David Patterson and Minister of Natural Resources, Raphael Trotman and other officials, government has secured $80Million under the Guyana-Norway partnership agreement. The money will be directed towards intensified efforts to achieving 100 percent renewable energy use. To date, under the energy efficiency programme, a total of 11,273 LED lamps and 1027 motion sensors have been outfitted to government buildings. A total of 90 of said buildings – above the 74 target – will have solar photovoltaic (PV) panels installed by year-end. This represents 1.9 kilowatts of new installed solar capacity.